Scoring at your debut is always a nice way to start a story, and that’s exactly what Amsterdam-based organizations KROOKS and Ondersteboven plan to do! 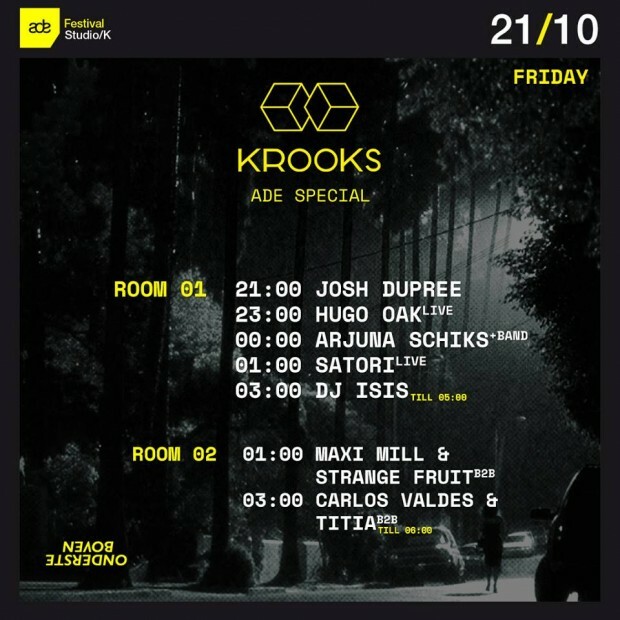 This Friday will be their first time at ADE and for that occasion they arranged an all-star all Amsterdam line-up in underground paradise Studio/K. We gave them the opportunity to interview their headliners: Isis, Satori, Carlos Valdes, Arjuna Schiks and TITIA. A favorite track and a vision of life, accompanied by a beautiful graphic by James Beatham. Which track are you definitely gonna play tomorrow? Would you call ADE the best week of your year? What kind of feeling do you want to give the public during your live set? What message do you want to bring over during your set? What’s the history behind Arjuna + band? Carlos Valdes answers will be released later, because of personal circumstances.